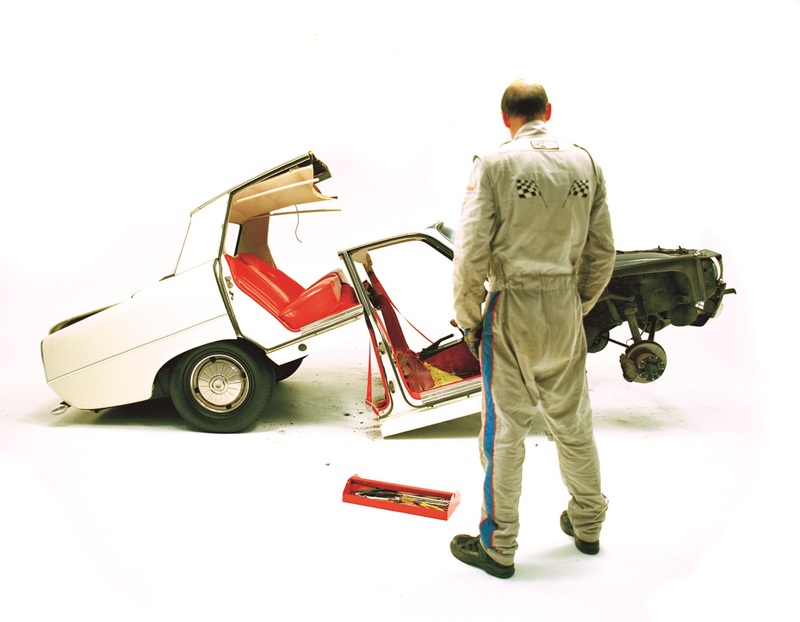 Claire Healy and Sean Cordeiro, _The Drag_, 2015, Rover P6; 2-channel video. Colour, sound. 28 minutes. Courtesy the artists and Roslyn Oxley9 Gallery, Sydney. Joan Ross, The Claiming of Things, 2012, single-channel video with mixed media installation, colour; sound, 07:20 min. People Like Us, installation view UNSW Galleries, 2015. Photography by silversalt. Image courtesy UNSW Galleries. Yuri Ancarani, Da Vinci, 2012, single-channel video, colour, sound, 25:00 min. 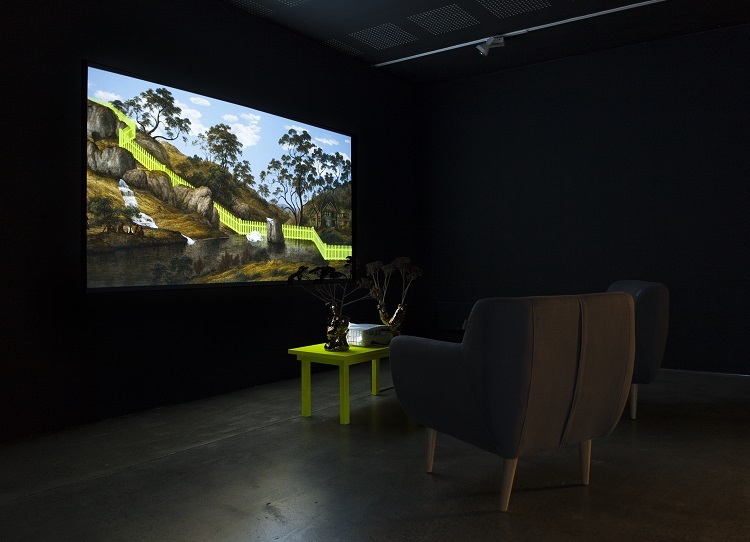 People Like Us, installation view UNSW Galleries, 2015. Photography by silversalt. 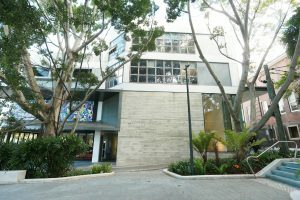 Image courtesy UNSW Galleries. Su-Mei Tse in collaboration with Jean-Lou Majerus, Son pour Insomniaques (Sound for Insomniacs), 2007, five framed photographs, each 104 x 104 cm; two seats with embedded MP3 players. People Like Us, installation view UNSW Galleries, 2015. Photography by silversalt. Image courtesy UNSW Galleries. 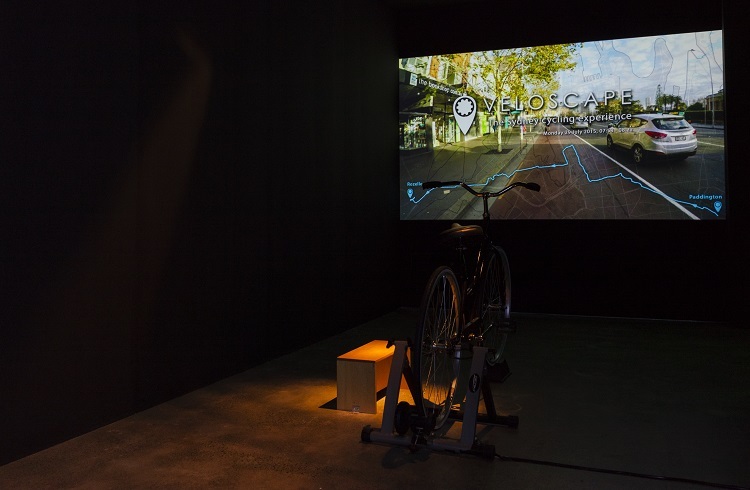 Volker Kuchelmeister and Laura Fisher, Veloscape, 2015, bicycle; single-channel interactive video. People Like Us, installation view UNSW Galleries, 2015. Photography by silversalt. Image courtesy UNSW Galleries. SHOWCASE highlights the work of the contemporary artists and curators we work with and whose work you will see in galleries and museums across NSW and beyond in the near future. Forte magazine interviewed Dr Felicity Fenner, curator of the touring exhibition People Like Us and director of UNSW Galleries in Sydney. People Like Us is on show at Geelong Gallery from 18 June to 21 August 2016 and is touring to 15 venues Australia wide from 2016 to 2019. It’s not often we stop what we’re doing and take in the world around us, and the upcoming exhibition People Like Us at Geelong Gallery is set to help us do just that. We had a chat with its curator, Felicity Fenner. Forte: How are you and what are you up to at the moment? FF: Since launching People Like Us in Sydney late last year, I have been overseeing its regional Australian tour and spruiking the project further afield. I spoke about the exhibition at a curatorial conference in Copenhagen in December. I was the only speaker from the southern hemisphere and they loved how the works in the exhibition introduced the conference delegates to the laneways of Sydney and Melbourne, as well as how the European works in the exhibition were in dialogue with those by the Australian artists. I’m actually writing a book at the moment called Running the City, which expands on ideas underpinning some of the artworks in People Like Us. Forte: It seems technology is forever finding new ways to immerse itself into our lives, do you think along with this exhibition (People Like Us), we will see more and more artists utilising these new forms of media? Is that something that excites you as a curator? FF: Definitely. It’s inevitable because artists have always been on the leading edge of cultural change and technology is changing the culture in which we live. It determines who and how we befriend, our relationships with time, people, places and other beings – and our very sense of self. All these changes are captured in People Like Us with artworks that invite visitors to immerse themselves in both everyday and unusual experiences. Forte: Given your extensive career as a curator how does this exhibition compare to those you’ve dealt with before? FF: This exhibition is focussed solely on new technologies being used by artists. Usually I work to a conceptual theme and the medium that artists use to express their ideas is of secondary importance and not particularly relevant to the theme. Only once before I curated an exhibition that was media driven: I was invited to curate an exhibition of painting by emerging artists for Primavera 2005 at the MCA in Sydney. For that exhibition, as I have in People Like Us, my response was to take on board the brief (focussed on media), but to select works around a particular subject matter so that the media becomes secondary. I don’t really what’s interesting about an exhibition of “painting” or “sculpture” or, for that matter “technology”, unless it establishes a meaningful dialogue between the works that also engages visitors and their experience of the world. Forte: What do you think is the biggest thing viewers will get from witnessing the works? FF: For the most part, people coming to the exhibition are “participants” rather than passive “viewers”. 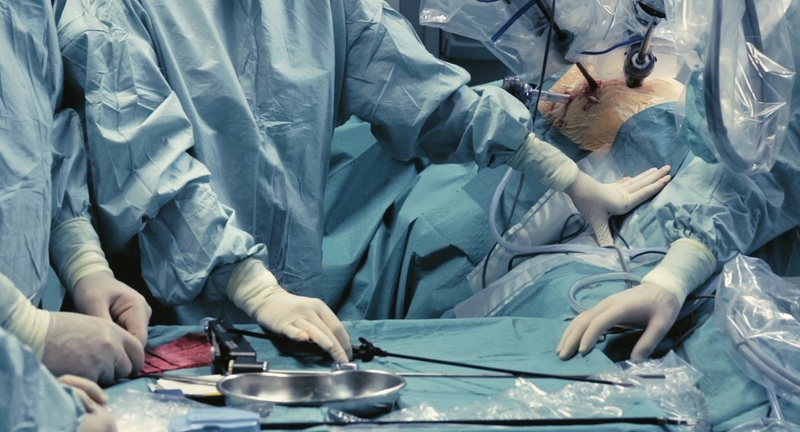 Besides getting a good physical work-out by cycling through Sydney, then finding a blissful meditative mental state by playing with a calming app devised for young hospital patients, visitors can listen to two very beautiful Michael Nyman scores, go inside a human body undergoing keyhole surgery, and take a Virtual Reality ride through the blood vessels of a stroke victim. I think the biggest thing that people will find about the exhibition is that art can actually be fun and that technology isn’t scary, but, on the contrary, can be used playfully by artists to open up new insights and ideas. Forte: And what appealed to you about the exhibition? Was there anything in particular you personally took away from it? FF: For me the most successful aspect of the exhibition is that visitors really get immersed in rather than just look at the works. Forte: The exhibition itself features a large collection of works from various artists. How did it all come together? FF: This exhibition was commissioned by National Exhibitions Touring Support. I put a bid in to curate it because it’s exactly what I’m interested in at the moment – the nexus of art and technology. I get to as many exhibitions as I can, both in Australia and around the world. Some of the artists in People Like Us I’ve worked with before and had been watching them since: I included Joan Ross’ work into one of the first exhibitions I ever curated over 20 years ago, and Claire Healy & Sean Cordeiro’s work in a group exhibition for Australia at the 2009 Venice Biennale. I had installed Nyman’s film works in the kilns at Sydney Park brickworks in 2011, and had worked at UNSW alongside John McGhee, Laura Fisher and Volker Kuchelmeister. 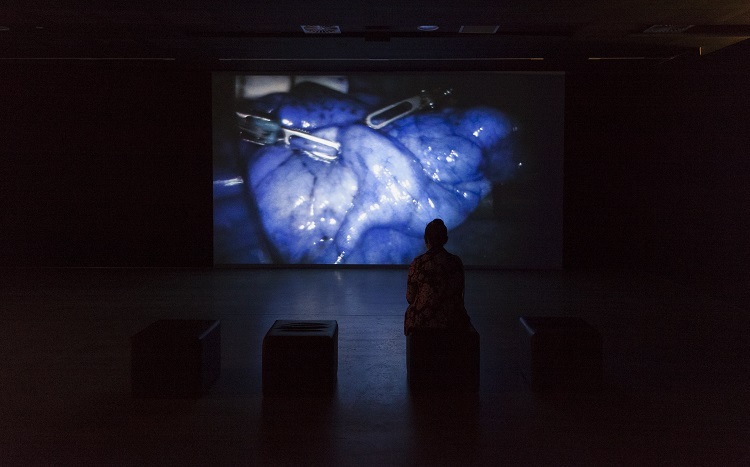 I saw Yuri Ancarani’s medical video at the 2013 Venice Biennale and was repulsed by it (always a sign of strong art! ), and in 2014 made two overseas trips that resulted in two of the works in this exhibition. In England I was invited by Nyman to attend one of only two concerts commissioned by the Liverpool Biennale to mark the 25th anniversary of the Hillsborough stadium disaster. All the families of the victims were there. It was such a moving experience that we decided to bring it into the exhibition if we could find a way, because the traumatic aftermath of that tragedy continues to have a huge impact on so many families – on everyday people like us. (I cautioned Nyman that a concert in a cathedral isn’t strictly art, to which he replied “so what?”). 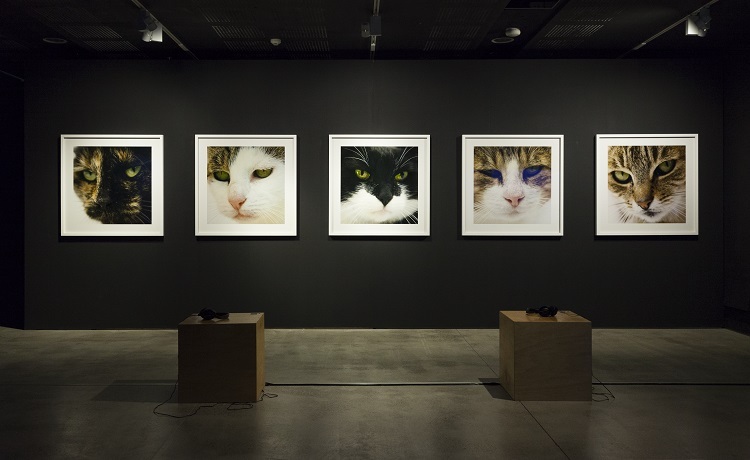 Then at the Busan Biennale in South Korea visitors queued to listen to Su-Mei Tse’s purring cats. I knew it would be a popular work in Australia – people like cats. Forte: With your role as curator, and as there are so many different elements to the exhibition, how do you approach piecing together how it will all look to the viewer? The progression from each work etc. FF: Curating is an organic process that comes together over time with lots of looking, talking to artists, travelling to exhibitions and in the end having confidence in the dialogues that you want to set up between works in the gallery space. As you infer, the experience for visitors is key to how the exhibition is curated: it’s a pointless exercise, after all, if there is no audience engagement. There are three broad themes that run through People Like Us. The first is mapping – the mapping of countries, streets, laneways and city spaces. Then there is sound: Angelica Mesiti’s film (ironically a silent film about the hypnotic affect of sound), the purring cats, Jason Wing’s aural ode to the Stolen Generations, and of course the two Nyman works. The final grouping is of medical related works that can visualise body functions, illnesses, surgical procedures and emotional responses. These are loose groupings, however, with lots of overlap and intersection. I don’t believe in making exhibitions too thematically hard-and-fast or didactic. You need to create space for visitors to dream a bit, to make their own interpretations and meanings of the works they encounter. Forte: You actually wrote a piece for the 100-page catalogue as well. Are you able to please fill our readers in on what it touched on? FF: Actually your questions have cleverly elicited the key points discussed in my introduction. However the catalogue also contains a number of short essays by writers from different disciplines in Australia, Europe and the US who have a particular take on specific works in the exhibition, so it’s worth reading more than just my words if you can. Forte: Thanks again for taking the time to chat with Forte Magazine. Is there anything else you’d like to add before we finish up? FF: Just to urge people to see the exhibition and send me their feedback. Artists always welcome feedback too – it can be a lonely profession being an artist and sometimes once the work goes out into the world it’s as if it’s gone into a black hole, never to be heard of again. The exhibition is touring to 15 venues all around Australia, so there are no excuses to miss it! I think people will find it fun. And the feelings and experiences conveyed by the artists are universal ones that we can all relate to – that’s why I called the show People Like Us.